It is not easy to accept the possibility that you or a loved one is experiencing symptoms of Alzheimer’s disease, but early diagnosis can be important. If you are experiencing the beginning stage of any dementia, the sooner you know and accept that, the sooner you can start planning for the future, and the sooner you can begin exploring treatment options. Medical and non-medical therapies may delay or moderate Alzheimer’s symptoms and may even slow down the progression of the disease. There is increasing evidence that certain lifestyle changes are probably our best protection against dementia and other brain disorders. Occasionally experiencing any of these symptoms of Alzheimer’s is normal, especially as we get older; however, If several of the signs are present, if they are getting noticeably worse, and if any of them are severe enough that normal daily functioning is impaired, you should see your medical professional. Don’t make the mistake of neglecting Mom’s forgetfulness “because she’s getting older.” It is too easy to deny a problem like this is affecting a loved one. The Alzheimer’s Association has defined ten early signs of Alzheimer’s disease. Everyone experiences, at one time or another, lapses in memory, difficulty finding something, or forgets an appointment. These are often part of the normal aging process, or may be caused by stress at work or home that is totally unrelated to a neurological disorder like Alzheimer’s. 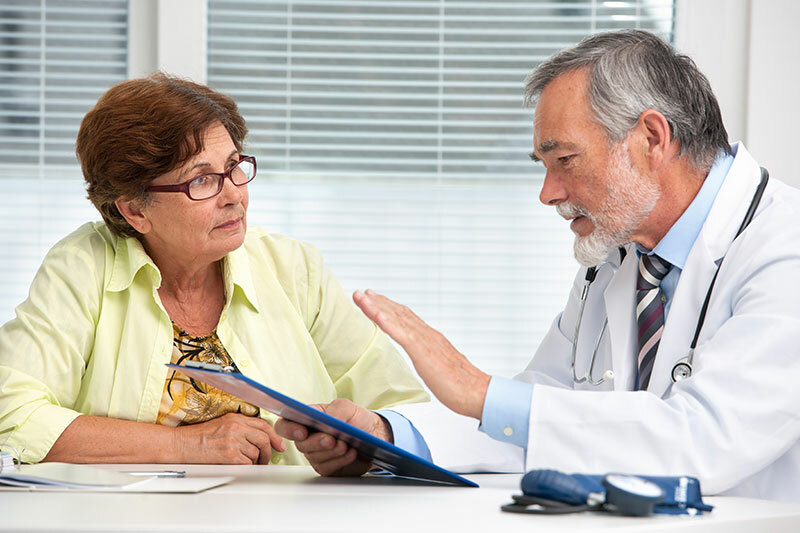 However, if you or a friend or family member is having trouble with several of the Alzheimer’s symptoms listed, especially if they are worsening or disrupting normal functioning, you should seek medical advice. 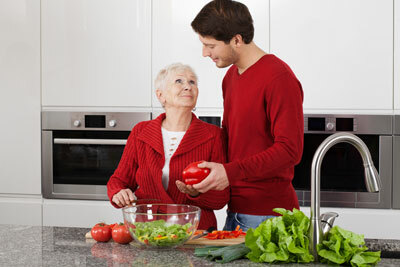 Memory of recent events or recent learning is one of the first and best-known symptoms of Alzheimer’s disease. Repeating questions, writing reminder notes, and covering up for forgetfulness are all behavioral manifestations of this symptom. 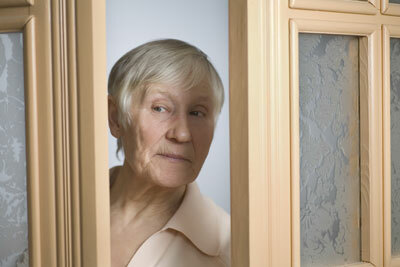 An occasional forgotten name or phone number, or a missed appointment are not necessarily early signs of Alzheimer’s. Some people with early symptoms of Alzheimer’s have difficulty with arithmetic, mathematics, and other operations involving numbers. Activities and tasks will take longer to complete than they did before. Accomplishing familiar tasks may require more and more help. But doing such tasks helps establish a positive self image. Even in the early stages of Alzheimer’s, someone might get lost while driving to the grocery store, or walking to the park on the next block. At work, she could have trouble with a task that she has done hundreds of times before. Don’t be too concerned if you have trouble setting the video recorder to record a favorite movie: almost everyone has trouble with that…. It is common for people with Alzheimer’s to forget what day, month, or even season it is. They might not recognize a familiar place, or forget how they got there. This is not the same as visual problems that can be corrected with glasses, or those caused by cataracts. An example is the inability to organize letters into words or words into sentences, even though the letters are seen well enough. This difficulty can be in speaking and writing, and will worsen over time. It may cause a person to stop in the middle of a sentence and restart the sentence, or calling things by the wrong name. Being unable to find the car keys occasionally is normal. It’s more like putting them in the microwave or refrigerator, and not being able to remember the steps that led to that action, like returning from the grocery store, walking into the kitchen with the shopping bags, putting the cereal in the pantry, putting the keys in the egg tray in the door of the refrigerator. When I do this, I can usually re-create my actions in my mind’s eye, and find those keys, right in the egg tray where I left them. A person with Alzheimer’s disease usually looses that ability to remember his recent activities early in the course of the disease, making that re-creation difficult or impossible. Diminished judgement often makes people who have Alzheimer’s easy targets for scam artists. People with early signs of Alzheimer’s disease are often easy marks for telephone and television sales people, and there are plenty out there who intentionally prey on people they think will be easy targets. Unfortunately, we hear plenty of stories of contractors who sell a job that doesn’t need doing, take a down payment for the work, and are never seen again. Poor grooming and hygiene are other examples of behavior that may result from poor judgment. Such withdrawal can result from fear of embarrassment, memory problems, or a host of other issues related to Alzheimer’s symptoms. Paranoia, depression and anxiety are common Alzheimer’s symptoms, but they are not the only changes that can result from the condition. Aggressive behavior, agitation, confusion and fear are also common symptoms, especially in new or unfamiliar situations or surroundings.